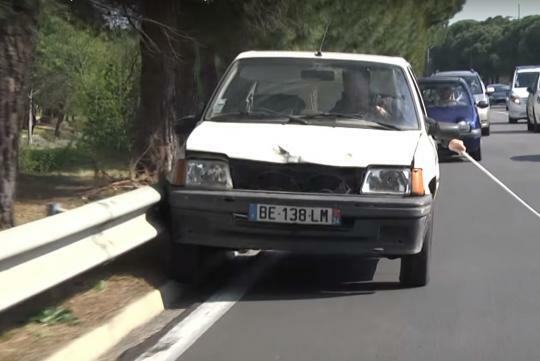 French prankster Remi Gaillard is well known for doing all kinds of crazy things and he is probably known for his real life Mario Kart, which makes his YouTube channel very well subscribed. In his latest prank, he is seen driving around in a battered old Peugeot brandishing a blind man’s cane, whilst driving erratically. I am sure no one wants to go near his car. The scene at the petrol station is our favourite but we shan't spoil it for you. He then continues his public nuisance spree by walking the wrong way up an escalator and walking along a busy roundabout too. Watch the video and get some light-hearted fun to start the weekend! In S'pore,if someone like this play a prank on people like this,sure get curse & scolding.